We are located two blocks west of Highway 35 in Knox on Washington Street. 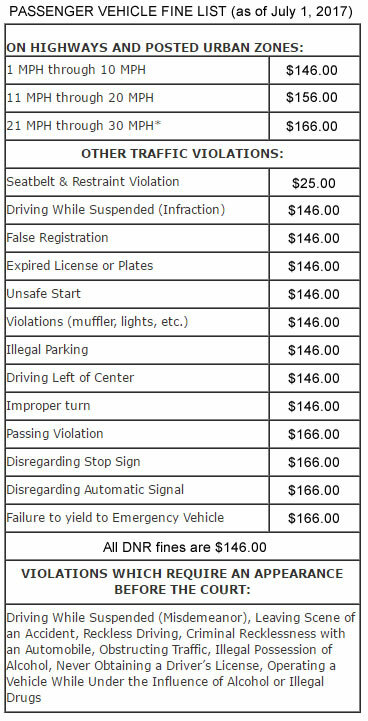 If you are pleading guilty on your ticket and wish to pay the fine by mail, please remit a money order or a bank cashier's check made payable to Knox City Court. Personal checks are NOT accepted and will be returned. You may also stop in our office to make a payment. You may reach us Monday through Friday during the hours of 8:30 AM to 12 Noon via phone. Questions may also be e-mailed to us at court@cityofknox.net. Our e-mail is checked daily. Tuesday at 9:00 A.M. Please call 574-772-3766 if you have any further questions. Additional information on individual cases and court dates may be found at https://mycase.in.gov. Knox City Court does not provide a form for your community service. You must complete your community service through Starke County Community Corrections. You may reach them by phone at (574) 772-2258 or by visiting the office at 108 N. Pearl, Knox IN. Your hours must be documented on their official letterhead and signed by an official supervisor of that organization and turned into our office. If your community service is not completed by the date the court has given you, your probation is subject to be violated. Knox City Court is a non-reporting probation court. There is no monthly reporting, however you must keep us informed of your current address. Court costs, fines, community service (if required), and restitution must be paid before the defendant is released from probation. The date at the bottom of your ticket under “Court Appearance” is an arraignment date only. IT IS NOT A TRIAL DATE. If you wish to plead not guilty and contest the ticket, you must contact the Court before the date of your arraignment to arrange a trial date. If you are pleading guilty and wish to pay the fine by mail, please remit a money order or a bank cashier’s check made payable to Knox City Court. PERSONAL CHECKS ARE NOT ACCEPTED AND WILL BE RETURNED. Please enclose a copy of your ticket with your payment and a postage stamped, self-addressed envelope to receive a receipt for your records. You may also pay online using the website listed below. If your ticket is not paid within the allotted time, or a court date isn’t arranged prior to that date,YOUR LICENSE WILL BE SUBJECT TO A SUSPENSION AND A $25.00 LATE FEE. Some tickets are not turned into our office by your due date. We cannot accept payment unless we have our copy of the ticket. You will NOT be suspended and will automatically be given a grace period. *The Starke County Prosecutor may charge any ticket twenty-five miles per hour over the speed limit as a Reckless Driving misdemeanor. You must appear in court to be arraigned for a Reckless Driving. If you are unsure whether your ticket has been charged as a Reckless Driving, please call our office first. If you still have questions after reading this, calls are taken between the hours of 8:30 AM and 12:00 Noon. Office Hours are Monday - Friday 8:30 AM - 4:30 PM CT. Knox City Court regular session time is Tuesday at 9:00 AM CST. Please fill out the form below to send us a general inquiry. DO NOT use this form to send sensitive information. We will get back with you as soon as possible.